Is This A Good Time to List My North Texas Home? Is this a good time to sell our home? This is a question we get quite often. 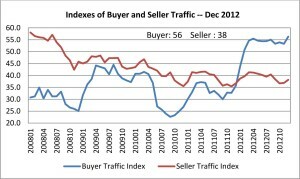 Local data have indicated a Sellers Market since January 2012. I just received the results of survey conducted by the National Association of REALTORS® (NAR) that shows that the trend is actually nationwide. 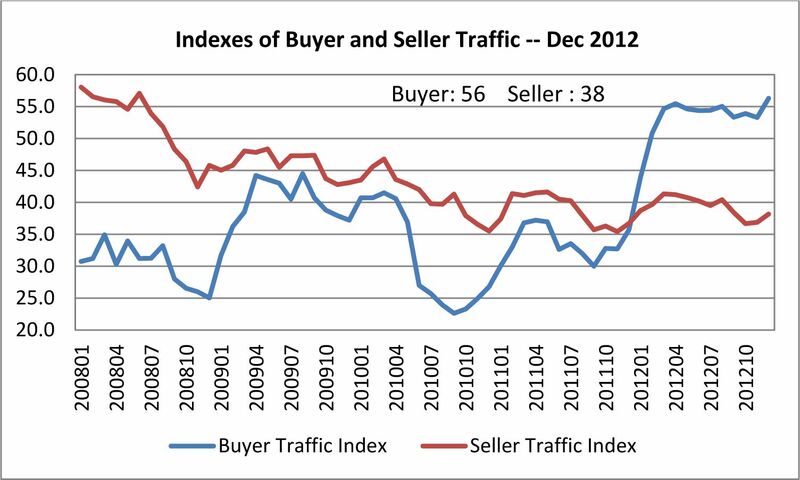 In our local market, 2012 was a great year for sellers. Home sales outpaced home listings by almost 10 to 1 and we don’t see that letting up in 2013. We have many sellers waiting for the “spring sales season” to list their homes. If you want to get your home sold, get on the market as early as possible to take advantage of the lack of inventory! Click here for more information on selling your North Texas home. 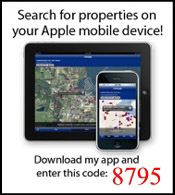 Click here to request a Market Analysis of your North Texas home. Plano Texas was recently named “The Best Run City in America” by 24/7 Wall Street. 24/7 Wall St. has completed its second annual ranking of the 100 largest cities in the U.S., based on local economies, fiscal management, and quality of life measures. To evaluate how well a city is managed over the long-term, we looked at factors like the city’s credit rating, poverty, education, crime, unemployment, and regional GDP. The best-run city this year is Plano, Texas. Plano was credited with the 2nd lowest crime rate and the 13th lowest unemployment rate among the 100 largest cities in the nation. 24/7 Wall Street also noted that 14% of Plano residents earn more than $200k per year while “a mere” 1.9 percent earn less than $10k per year. Plano, Texas is a great place to live and work! Click here to see all homes for sale in Plano, Texas. Contact us at 214-227-6626 if you have questions about Plano Texas real estate. We hear these words quite often as people move into the north Dallas area. While there are many homes on water, the prices are considerably higher. Why? Water is scarce in Texas. Many of our lakes were built by the Army Corps of Engineers and while these lakes are available for recreational use, the Corps owns much of the land adjacent to the lakes and they do not allow homes on the water. In those places where they do allow access, land prices are quite high driving up the price of waterfront homes. Many Waterfront homes in the urban and suburban areas are built on smaller, private lakes or running creeks. Most of the lakes are too small to allow docks or motorized watercraft. If you’re willing to live in the more rural areas, lake homes and lots can be found at affordable prices. 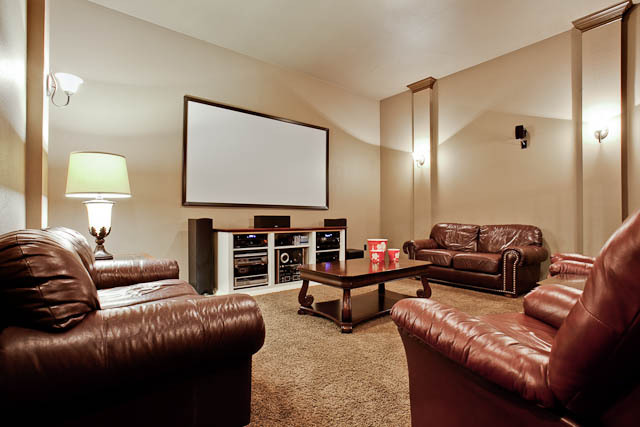 Click here to view all waterfront homes for sale in the Dallas Fort Worth (DFW) area. Click here to view all waterfront homes for sale in north Texas. Contact us at 214-227-6626 if you have any questions about lake-front or other homes in the north Dallas suburbs. 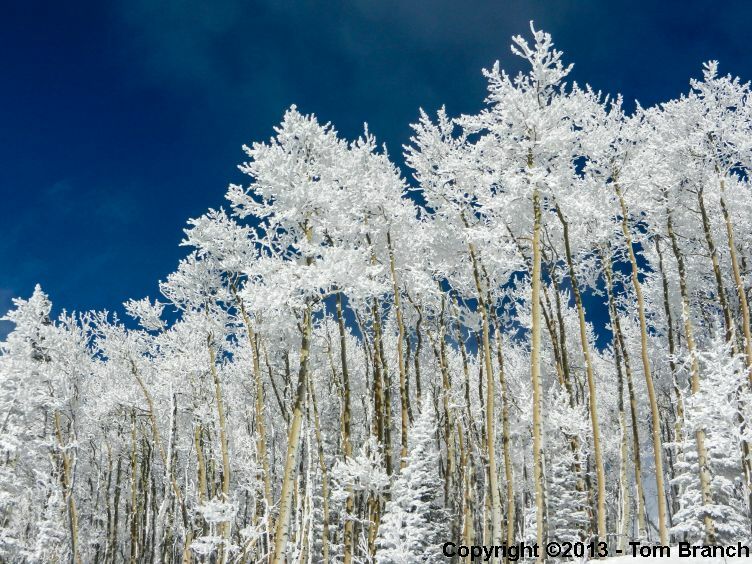 The snow that accumulated on the Aspen trees reminded me of the velvet on deer antlers. Photographed on January 12, 2013 at the Steamboat Springs Ski Resort using a Nikon S9100 at f8.8. Post-shoot processing in Adobe Lightroom. Why Did My Homeowner’s Insurance Go Up? Homeowner’s insurance provides coverage for your house and contents. In states like Texas, homeowner’s coverage starts high and goes higher. Texas had the highest homeowner’s insurance in the nation in 2011. States regulate homeowner’s insurance, approving the policy language and rates. One solution to rate increases is to shop around for your homeowner’s insurance. High price does not necessarily give you better insurance. Homeowner’s insurance comes in three basic types. HO-1 is too basic, and some states and companies no longer use the form. It covers 11 items or perils and no others. HO-2 includes the 11 basic perils and 6 more for a total of 17 perils. HO-3 provides better coverage for the home and contents ans is more expensive than the H0-2. HO-3 covers 17 perils and any others it does not specically exclude. Exclusions might include flood, earthquake, war and nuclear accident. Your homeowner’s policy costs will go up based on certain factors. Premium calculations are based on location, sometimes down to the county or city, and the distance from a fire hydrant. So if those risk factors changed in the past year, you could see a premium hike. The Federal Trade Commission reports that auto and homeowner’s insurers use credit scores for determining insurance costs too, because better credit scores represent more stability and less risk. If your credit scores have decreased, your homeowner’s insurance premium may increase. Most polices increase the policy limits based on inflation rates. Your premium cost goes up each year, but so do your coverage limits. If you have a replacement cost insurance policy instead of actual cash value, premiums will increase with the cost of construction materials. Actual cash value considers depreciation and age of the home and contents; replacement cost considers only the cost of replacing the item in today’s market. C.L.U.E. -The Comprehensive Loss Underwriting Exchange database retains records of information about any claims you make . Homeowner’s insurers use C.L.U.E. reports for your history to evaluate your likeihood of making a claim. If you have made a claim in the last seven years, C.L.U.E. has it in the database and the insurer rates your policy premium based on the report. A recent claim will cause your homeowner’s insurance to increase.